I am reminded of St. Thomas Aquinas: "God never permits evil except for a greater good to come out of it." 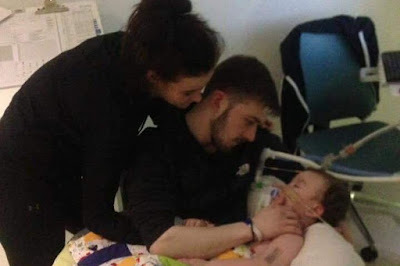 In spite of the pain, we are lifted up by the example of Alfie's parents, and we know that Alfie went straight to the arms of Jesus, even perhaps as a martyr. "Let the little children come to me, for such is the Kingdom of Heaven."